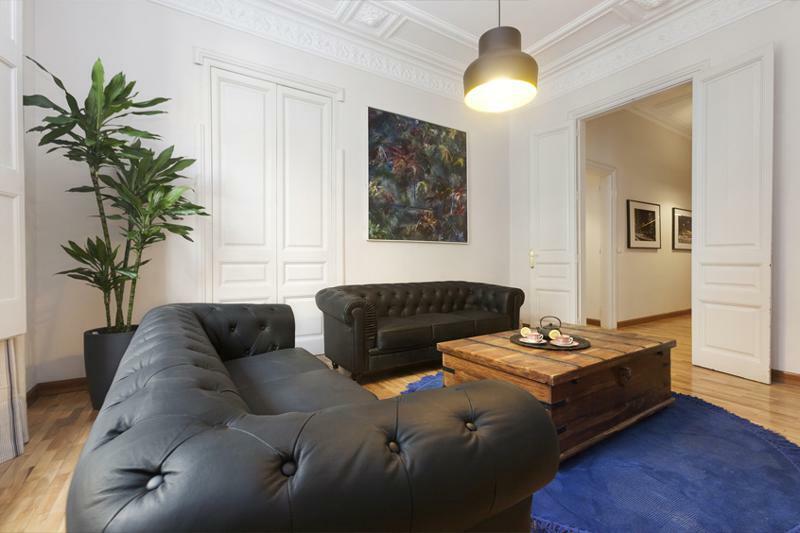 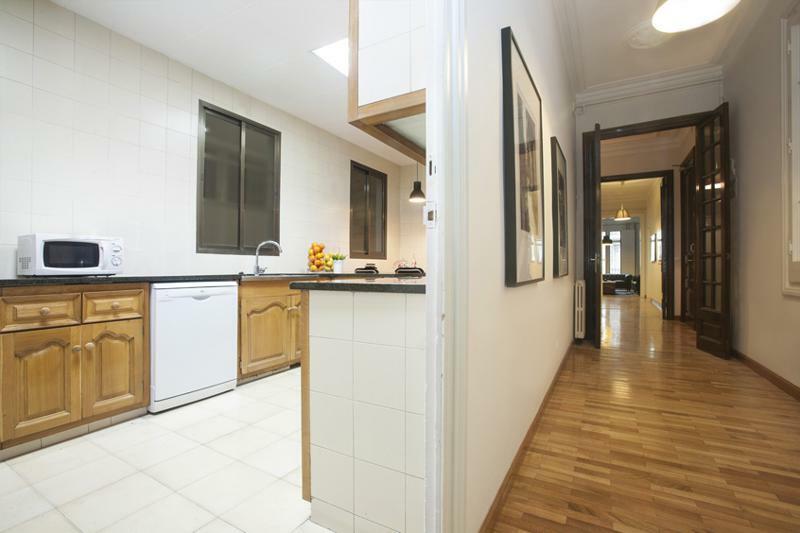 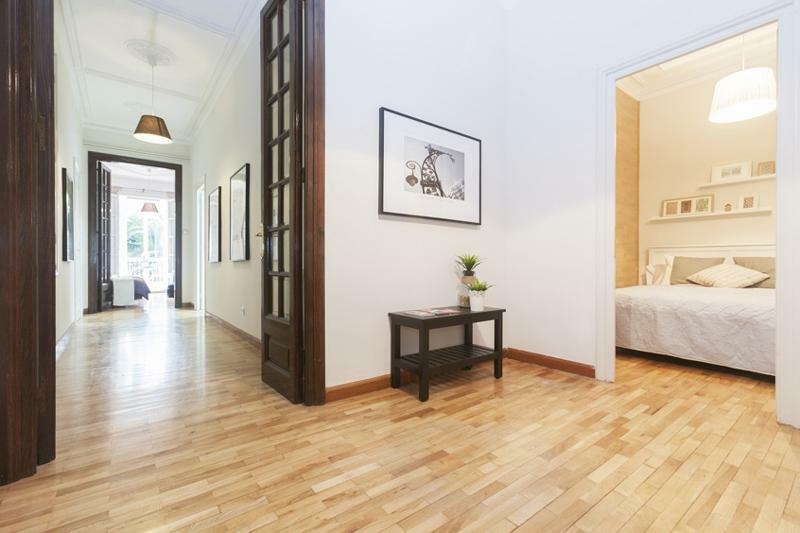 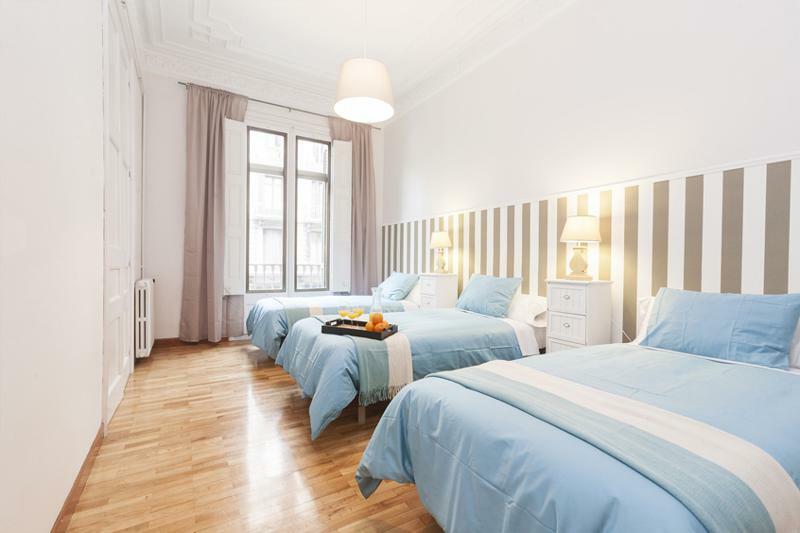 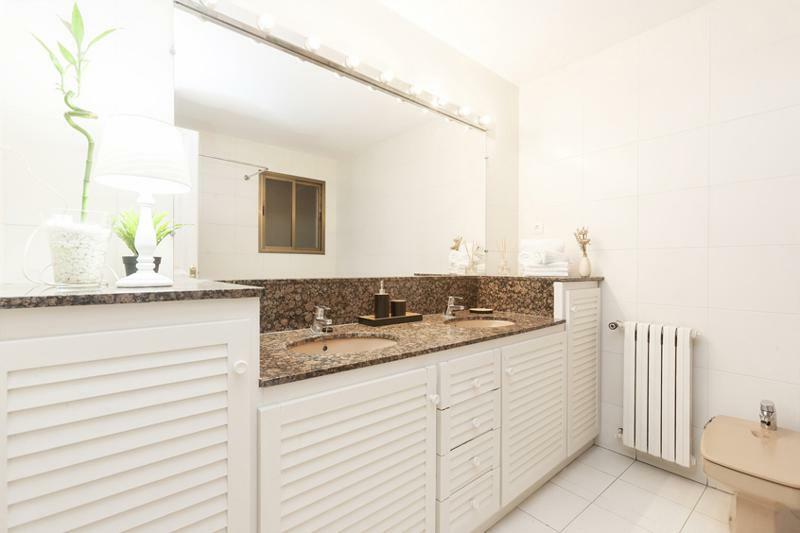 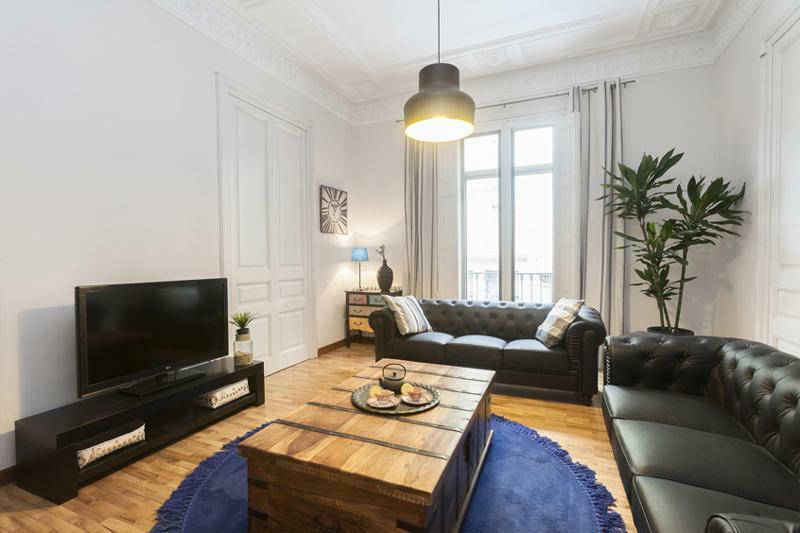 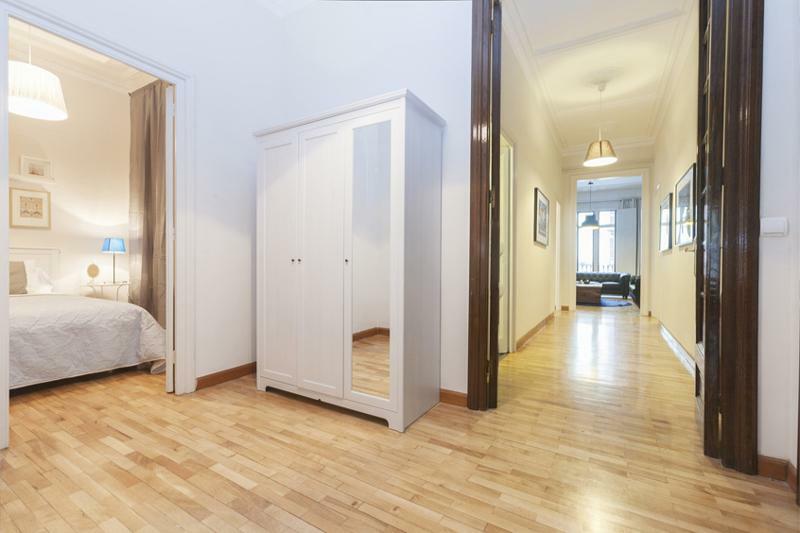 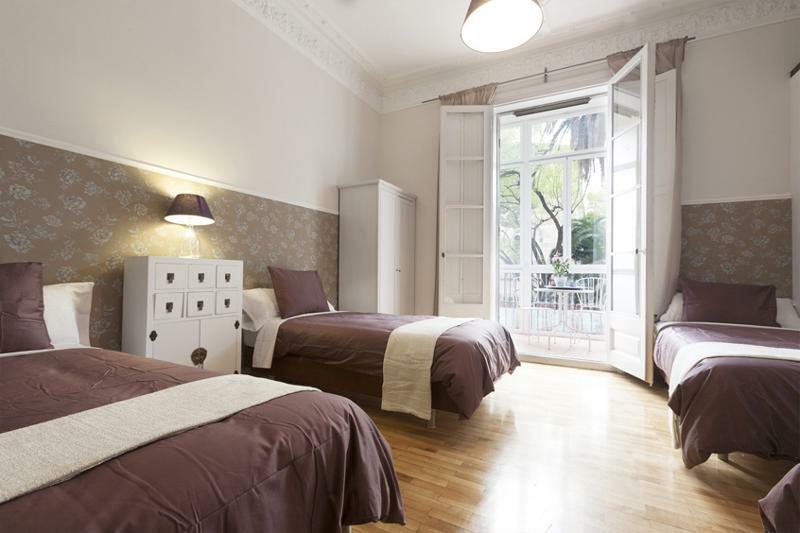 This 7 bedroom, 2 bathroom apartment is very centrally located with just a 10 minute walk to the Plaza Cataluyna. 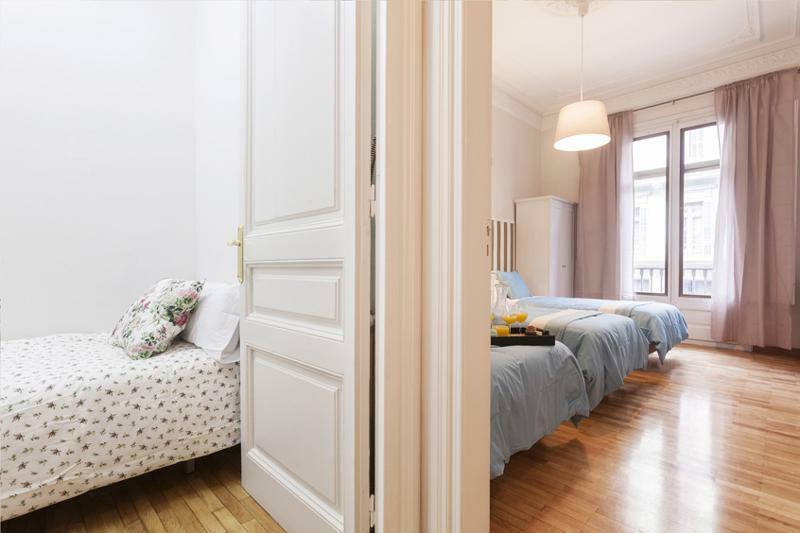 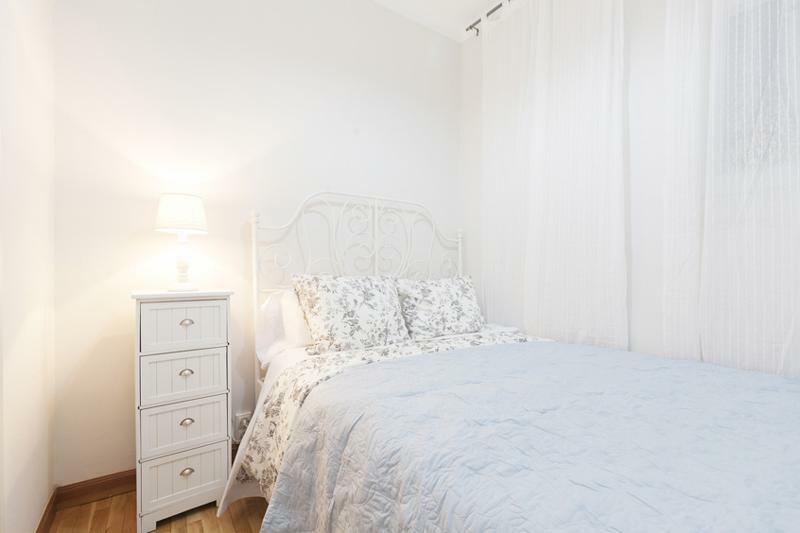 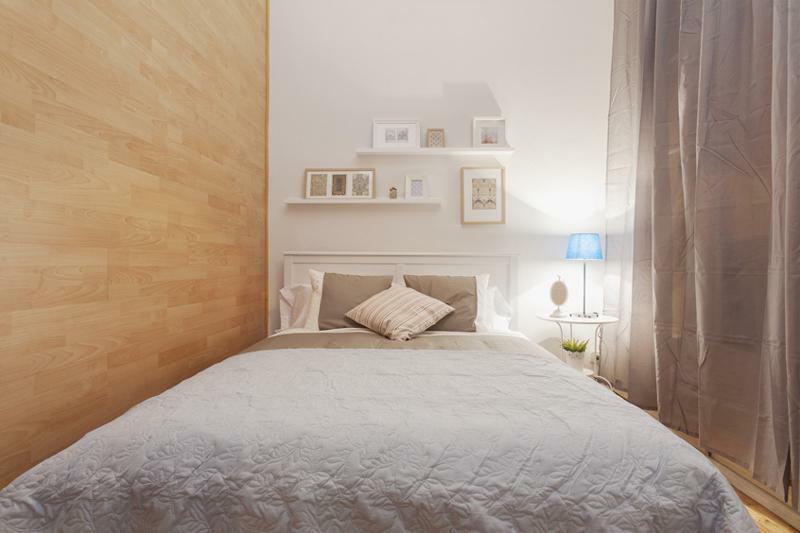 In the apartment you will find 3 bedrooms with double beds, 2 bedrooms with 3 single beds,1 bedroom with 1 single bed, and 1 bedroom with 4 single beds that has access to a lovely inclosed terrace. 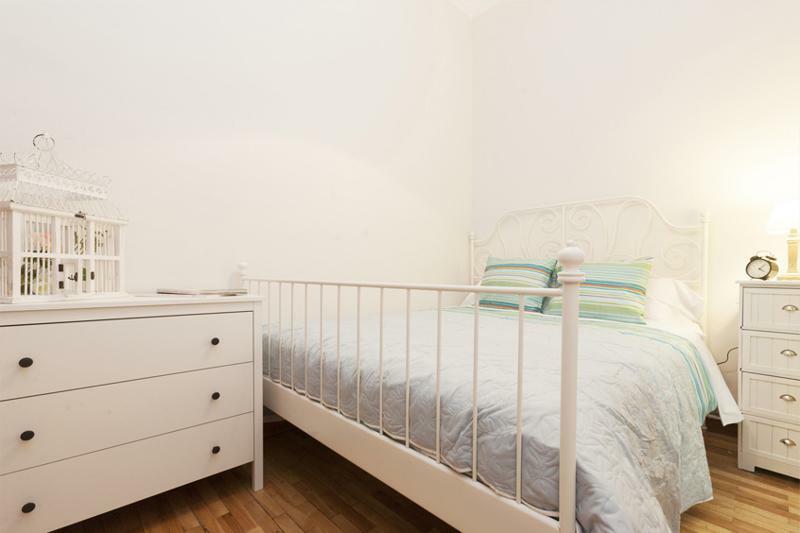 This allows for up to 17 people to sleep comfortably here. 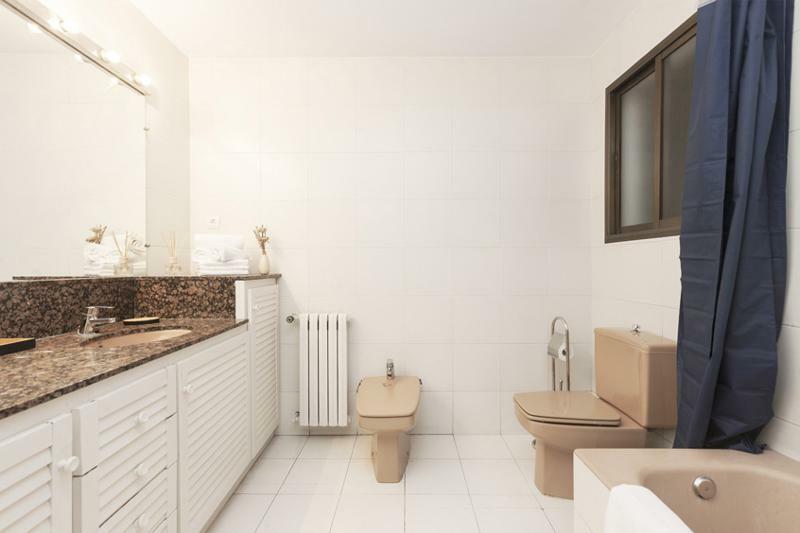 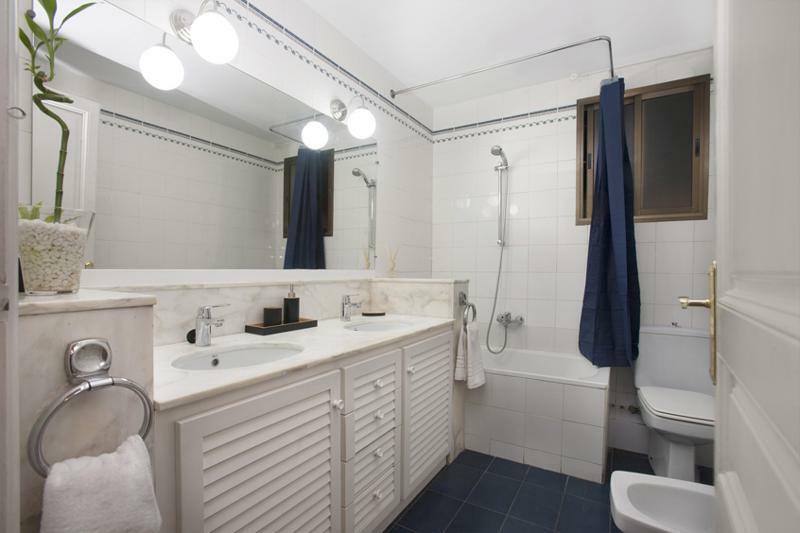 The bathrooms are quite large and both have a double sink, a bathtub, toilet, and bidet in each. 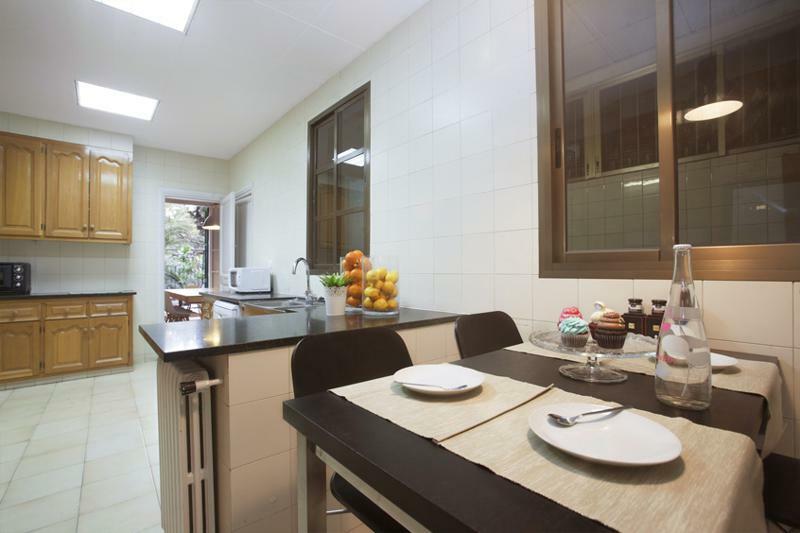 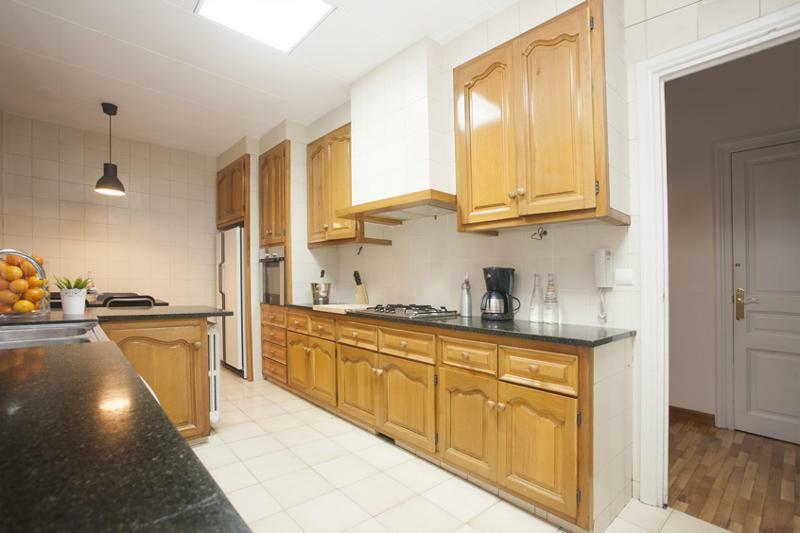 The kitchen is separate and fully equipped and has a dining set that seats 4. 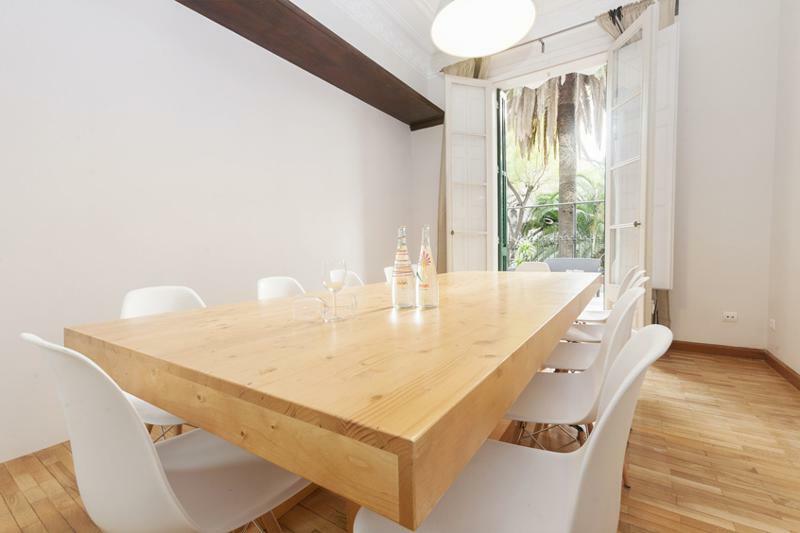 There is also a separate dining room with a large table so that you can enjoy your meals in a large group. 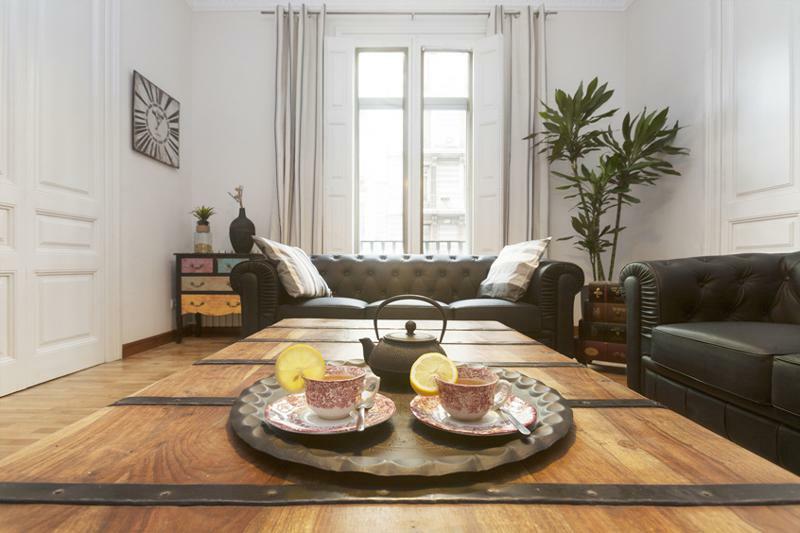 You will appreciate the comfort of the open and spacious living room that has 2 large sofas and a TV, and not mention access to a gorgeous terrace. 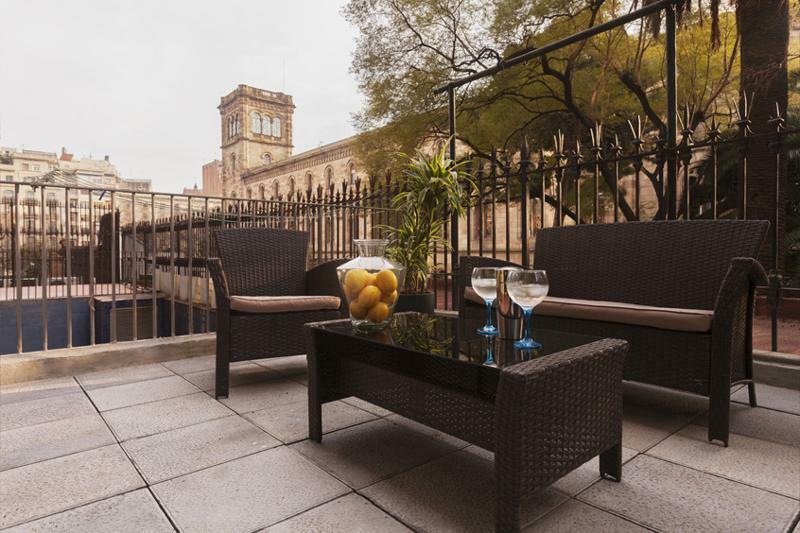 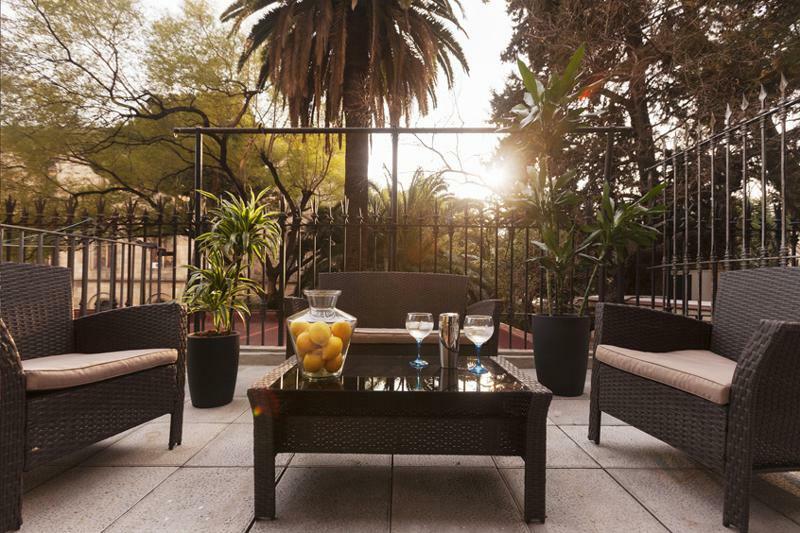 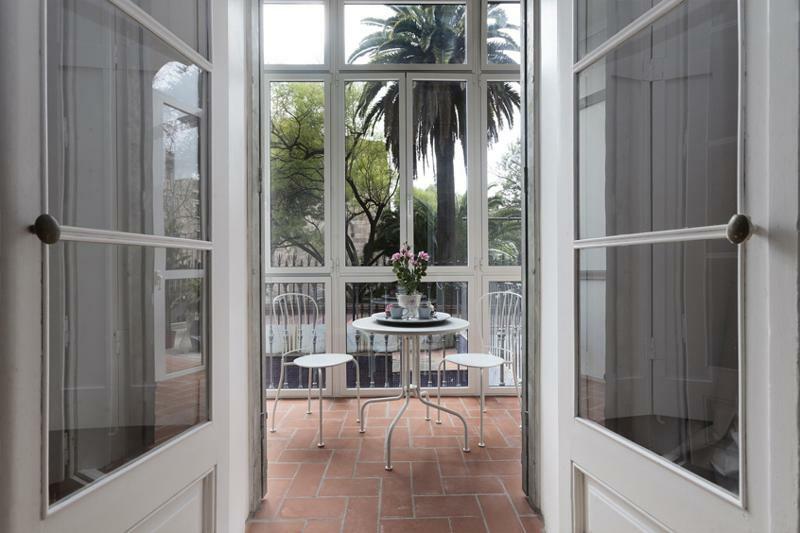 When you step out onto the terrace you will enjoy a view of the beautiful University of Barcelona. 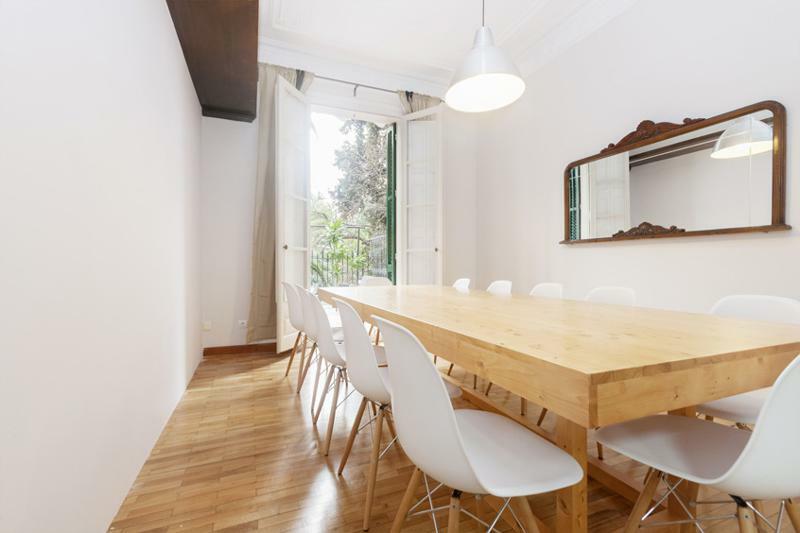 This is the perfect place for a large group right in the heart of the city!